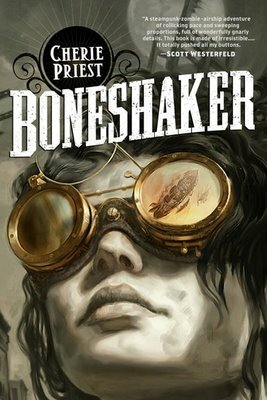 Since there were so many fans of Cherie Priest’s Boneshaker, when I stumbled across this podcast tonight I had to post it. i09.com has a podcast series called The Geek’s Guide to the Galaxy, and they often have interesting people on there. It is a re-run, but since I posted the review on her book not that long ago, I thought I’d pass it on. 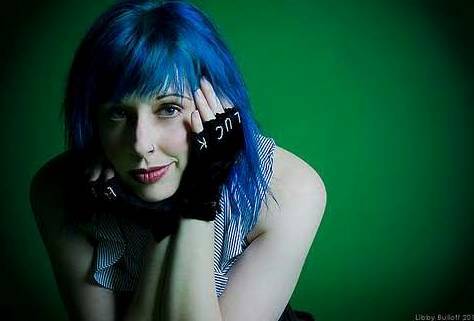 Cherie Priest, author of Boneshaker, joins us to talk about Steampunk, theology, and Seattle’s Underground in this rerun of episode 6 of The Geek’s Guide to the Galaxy. Plus Dave and John talk Sherlock Holmes. I can only link to their page, so here you go! Scroll down a bit to find the player. Also, further down on the page you’ll find a summary in transcript form.